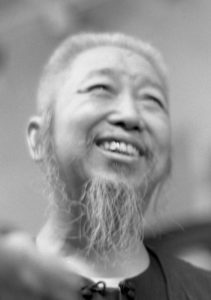 Cheng Man Ching’s teaching was marked by underlining sameness and diversity at the expense of hierarchy and difference. This approach formed the basis of his unique way of bridging the cultural gap between East and West. His hippie students in New York – some searching for orientation in life, some even looking out for a suitable guru – had their problems with the complete lack of the notions of seniority, hierarchy and merit in his approach towards teaching. This mind-set also framed the way Cheng Man Ching organised his teaching. He taught in a non-dividing, non-classifying way. Although he scheduled special classes for advanced students, Cheng Man Ching did not advocate different levels or ranks. He installed in his students the spirit that in principle each student could grasp a certain aspect of the art exceptionally well and that everyone could get something different out of the practise of Taijiquan, calligraphy or painting, each being gifted and at the same time limited in different ways. Thus, he built on and connected to the abilities and needs of his students. The search for completeness and the encouragement of abstract mastery was not his main focus. For Cheng Man Ching, a master was simply a teacher. Cheng Man Ching did not call himself master. In the context of teaching he called himself “professor”, using his formal title connected to his original profession as a university teacher. Although the fact that Chang Man Ching did not name any lineage holder(s) might be influenced by his sudden death, there is no evidence that he prepared such an announcement. His concern did not lie in the progress of individuals or in pointing out an individual as an especially good example. 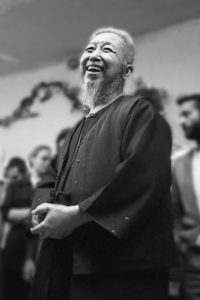 He encouraged his students to spread the word, to spread the teaching, to get the people to do Taijiquan and to make its benefits visible. In Cheng Man Ching’s way of teaching, the progress of the student did not depend on the closeness to a master or the stepping up on a ladder, but on the degree s/he invested him/herself in the studies and perhaps even the struggle the student was willing to go through. Development, recognition and closeness might have been a by-product of dedicated teaching and learning, but the main interest of Cheng Man Ching was the progress of the art(s). This attitude was also mirrored in the way he told his students to progress after he would be gone: Not by seeking a famous master to learn from, but by way of encouraging the ones in their middle which were ahead in skill to further the development of the art in a collective effort – as companions in the art. The underlying idea, which might have been informed by Cheng Man Ching witnessing the rapid changes in modern Chinese history, is that an art does not survive without being practised over the generations: it must be taught and developed – stagnation would mean death. A teacher of the art, however, does not exist without a student, while the student also teaches the teacher how to teach. This approach towards teaching suggests an interrelationship that recalls the non-hierarchic duality of the Taiji-symbol rather than a pyramid shape with the master at the top and the students filling the ranks.